Broken Tail Rescue was founded to help homeless animals find their forever homes. We work closely with local animal controls, animal shelters, and rescue groups to ensure that these forgotten animals receive a second chance in life. We also work closely with the public and take in animals they can no longer keep or that they have found and are looking for an outlet for. We care for these animals through our network of foster homes, and they stay in our care until they are adopted into a loving home. We struggle on a daily basis to pay for veterinary care, food, heartworm and flea medication, and vaccinations for the animals we take in. Broken Tail Rescue receives no government funding and relies solely on private donations and fundraising to care for hundreds of animals. The only way we can continue operations and our mission to save as many animals as possible is with your help and generosity! We guarantee to strive to get the most out of every donation. 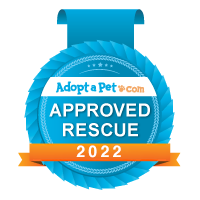 We work with excellent veterinary partners who give us significant discounts because they believe in our mission of saving innocent animals and finding each one their forever home. Our administrative costs are next to nothing, and we have no paid employees. Our volunteers are here because they care – just like you! To make a one-time donation to Broken Tail Rescue please use the PayPal button below. We rely on our Sustaining Members to ensure that we can budget each month for the care of the animals we take in. Recurring donations provide a dependable source of funds to continue our work, and we are grateful for your support! Please click on the monthly amount that’s right for you! We routinely take in animals that are sick or injured, requiring expensive veterinary care in order to save their lives. When these situations arise, we rely on the donations from the public to help us cover these costs. “YouCaring” is a great service that allows us to raise funds for a particular cause and keeps track of how much we have raised toward our goal. You can “Give Now” toward a particular cause we are working on or the cost of a particular animal requiring extensive veterinary care and help save its life! Smokey and Harry are some of the sweetest cats you’ll ever meet, but they faced an uncertain future when their owner died and they were surrendered to a local animal control. Luckily, we stepped up to bring these gentle boys into our rescue. Both cats are elderly, black, and in need of medical care, all factors that make finding a home for them more difficult. Smokey is morbidly obese, weighing in at 23 pounds. It’s nearly impossible for him to clean himself and he snorts when he breathes due to a growth in his throat that needed to be biopsied and checked for cancer. His brother Harry is slim in comparison at 14 pounds, but has horrible dental disease, described by the vet who saw him as some of the worst she’s ever seen. He’s in terrible pain when he eats and needed a full dental with multiple tooth extractions. Any donation is greatly appreciated! Read more and consider donating! For just a $50 donation to Broken Tail Rescue, you could be a sponsor of one of our many cats living in our PetSmart Adoption Center. This money will go directly toward the medical and daily care these cats require. The regular adoption fee of an adult cat does not even cover the basic medical care that each cat received while with us, and many of the cats we save need extra medical care due to a hard life on the streets. Your support will enable us to continue to care for the many homeless cats in Massachusetts. With your donation, we will write your name (or a tribute message for a loved one, two or four legged) on the card indicating you have sponsored the cat. Your name will remain on that card and their online profiles until he or she is adopted into their furrever home. You can make your donation to the Cat Sponsorship Program by clicking the sponsor button below. Once your donation is processed you will be brought to a page where you can fill out the information regarding which adoption center and cat you would like your sponsorship to go toward as well as what information you would like on the sponsorship card. Donations outside of our wish list are always welcome. If you would like to make a supply donation please email us and one of our volunteers will arrange to pick it up. Broken Tail Rescue, Inc. partners with DonationLine.com, a Vehicle Donation Charity fundraising agent, that helps individual vehicle donors seeking to support non-profit organizations around the country. Donate your boat, truck, RV, Jet Ski or snowmobile to our organization and receive a tax deduction. This is a no cost, no hassle process which begins when you contact Donation Line LLC. at 1-877-227-7487 or click the photo below and complete the Vehicle Donation Form on line. Make sure to select our organization from the dropdown list.